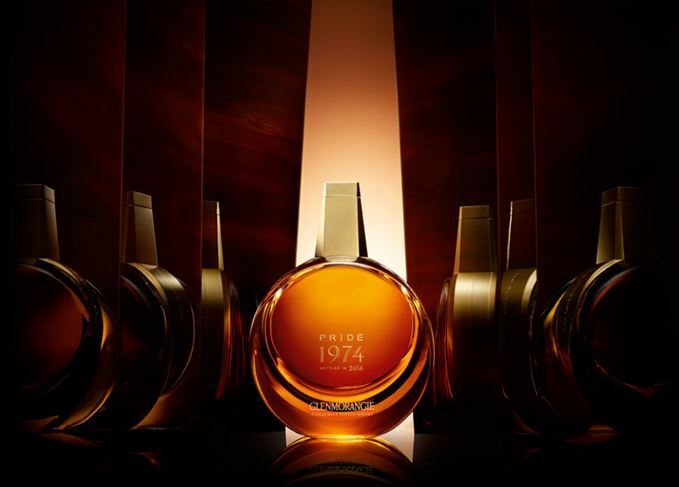 Highland single malt Glenmorangie has unveiled its ‘oldest and rarest’ whisky to date – Glenmorangie Pride 1974. The 41-year-old single malt Scotch whisky was filled into ex-Bourbon and ex-oloroso Sherry butts on October 30, 1974. Only 503 crystal decanters of Glenmorangie Pride 1974 will be released globally in June, each priced at about $9,000. Glassware specialist Laurence Brabant was recruited to design the decanter, which is engraved with gold metallic detailing and concealed in a lacquered cherrywood veneer box with a mirrored interior. Brabant also designed the packaging for Glenmorangie Pride 1981 and Glenmorangie Pride 1978. To celebrate the launch, Glenmorangie partnered with piano maker Steinway & Sons and pianist Aaron Diehl to compose a piece of music that ‘embodies the whisky’s rare beauty’. Dr Bill Lumsden, director of whisky creation, distilling and whisky stocks at Glenmorangie, said: ‘Glenmorangie Pride 1974 is the oldest and deepest Glenmorangie ever to be released. Its age lends the whisky an enriched intensity, borne only of a slow, patient maturation.